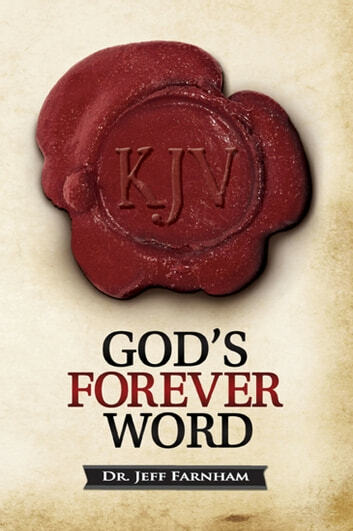 God&apos;s Forever Word sounds a certain note on this issue. With the constant push by today&apos;s publishers to print yet another "version" of the Bible, Dr. Farnham examines both the motives of this phenomenon and also its inevitable consequences. Rather than being an evolving human document subject to the editions and deletions of man&apos;s current understanding, the truth of God has been handed down to us by "inspiration" (II Tim. 3:16) and by "preservation" (Ps. 12:6-7) so that men in every generation may hold the Word of God in their hands.